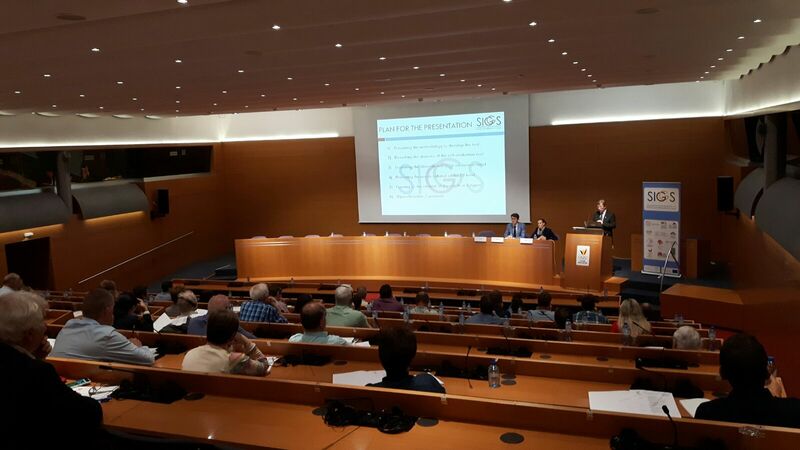 On 7 June 2016, the SIGGS Project together with the Belgian Olympic and Interfederal Committee (BOIC/COIB) organised the national SIGGS Strategic Workshop in Belgium. The Workshop was attended by around 80 participants from the NOC, national and regional sport federations. The Workshop started with some introductory words by Philippe Vander Putten, CEO of the BOIC. He thanked the participants for attending the Workshop. In addition, he stressed the importance for Belgian sport organisations to invest in the topic of good governance and he referred to the role and the commitment of the BOIC within the SIGGS Project. Consequently, Matthias Van Baelen and Valentin Capelli provided some more information on the IOC Basic Universal Principles of good governance in sport as well as the EU Principles on good governance in sport. Furthermore, they presented the new functionalities of the SIGGS tools including the Roadmaps and Action Plans. The results of this first consultation round, to which around 60 Belgian national and regional federations participated, were presented by Prof. Thierry Zintz of the University of Louvain-la-Neuve and Prof. Jeroen Scheerder of the KU Leuven. They highlighted some strengths and weaknesses in the implementation of good governance in sport in Belgium, although the results are based on self-evaluation. Particular weaknesses that they identified were related to the management of conflicts of interests, risk management, support for and liaison with athletes, succession planning and gender equality. Furthermore, three representatives of federations presented their activities in the field of good governance as good practice examples. First, Mrs. Sylvia Ronsse, Director General of the French-speaking Gymnastics Federation, explained their process towards better governance starting in 2005 with some set-backs along the way. She also referred to some of the difficulties that they face to implement good governance in the federation, in particular, the limited resources and man power, especially when dealing with volunteers. Secondly, Mr. Jan Van den Berghe, Secretary General of the Flemish Korfball Federation, addressed the participants in a presentation titled “good governance to the next level”, in which he referred to the efforts of the federation to engage the clubs, through providing both support (e.g. through a score card for clubs) and incentives. And finally, Mr. Marc Coudron, President of the Belgian Hockey Federation, explained their evolution starting in 2006 with the adoption of a new comprehensive strategic plan. Currently, hockey is one of the fastest growing sports in Belgium, showing both the impact of these reforms and the need for new strategic goals, which have been defined in the new plan 2016-2020, to continue the pathway. Following these three presentations, an interesting exchange took place whereby participants from various federations shared their views on issues such as the ideal composition of the Board (volunteers versus professionals), volunteer engagement, the role of the government and the impact of the professionalisation of sport. All participants agreed that the Workshop and especially the possibility to exchange good practices was very inspiring and that similar exchanges should be organised more often. Many also referred to the SIGGS Project as a useful tool to support the implementation. The SIGGS Project management concluded by thanking the BOIC for organising and hosting the Seminar and by inviting all Belgian sport federations to consult the second version of the self-assessment tool and to contribute to the second consultation phase.